I’ve started to relate to the Walking Dead a little too much in the past few weeks. That is too say the walkers not the actual cast. My brain has slowed down to what I can only describe as a primal state of move forward and eat whatever appears to be food. It’s a joyous type of zombie state because it is due to our newest addition. 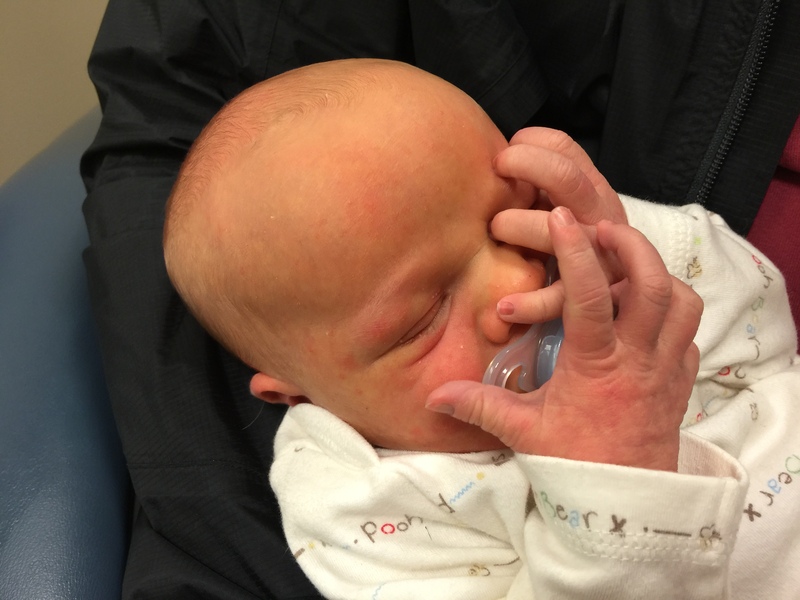 Five weeks ago I gave birth our son, who we refer to as Mr. Wigglesworth because it is an accurate description of him and rhymes with his sister’s name who we call Squiggles. I wont go into the horrifc details of the miricle of birth but it was freaking magical once the epidural kicked in. Wiggles holding onto his face incase it decides to run away. This is a very important thing all babies do. The last few weeks have been a sleepless blur due to Wiggles colic, but life has been pretty freaking amazing as well. My current state of mindlessness in which I have not been able to focus on one thing for more then a few seconds (I’m going to pretend that my years of meditation has been paying off and my mind has finally has raised to a new state of conciseness. Ha, yeah the lies I tell myself) has actually been great for writing. Well, at least brain storming or plotting. I’m setting aside one manuscript that I’m beyond stuck on and moving on to another story that I’ve been floating. It seems 5 am feedings is when I’m busting with ideas. Now only if I wrote them down. Also this month I am published!! 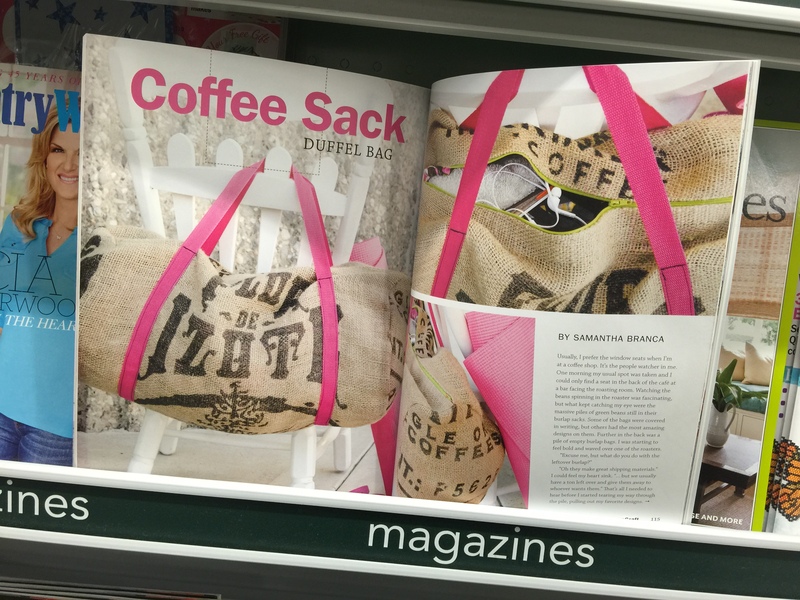 My burlap duffle bag is on page 114 of Green Craft Magazine. My daughter is so excited that when she saw the magazine in the store she looked around frantically trying to find people shouting “Mama, this is your book! We need to show all these people.” What can I say other then I live for the moments that I make her proud. I’m currently working on another craft project for submission. Other then that we are still in a state of mourning over the Seahawks Superbowl loss. At least the erie state of quiet has lifted over the city and are now self medicating with copious amounts of coffee. That’s all for now. I’m getting ready to post some sewing tutorials and writing that I’ve been working on over the past few months. Check out this month’s edition of Green Craft Magazine. I would love to hear what think about the tutorials inside. 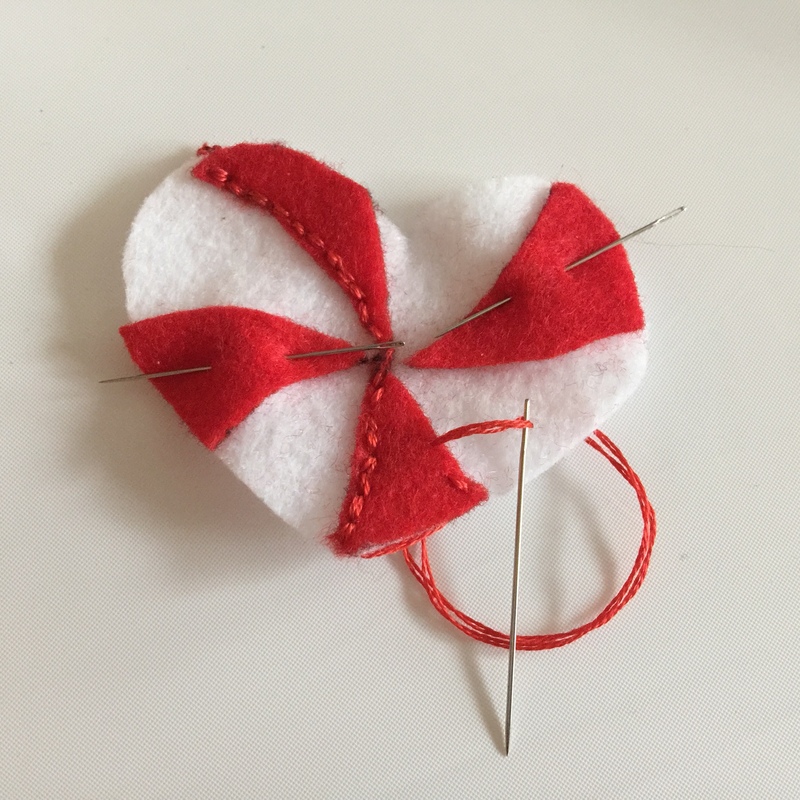 Previous postVoo Doo Doll Pin Cushion D.I.Y. I'm Sam. I love to dress up as superheroes (and occasionally a villain) with my children, explore the world, read great sci-fi, and geek out about fashion, fabric, and technology. Is this your idea of utopia too? Let's be friends!